My lovely Heidi turns 9 next month and I know it's cliche to say this but it's like the last decade has flown by in the blink of an eye. Yet it also feels like the days of snuggling up on the sofa watching In the Night Garden were a million years ago. I really try hard not to dwell too much on losing my babies as they grow up and want to focus on the fun and challenges that the next phase of parenting involves. Heidi is a quiet, fun, sensible girl with a strong will who loves to play sports and embraces every challenge. 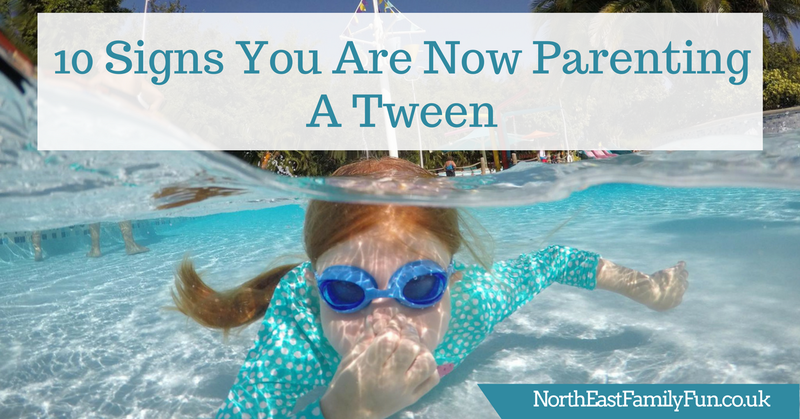 Today I thought I'd record 10 signs I've spotted that she's turning into a Tween. Heidi has slept over at her grandparent's house but has yet to enjoy her first proper sleepover with her friends. It's something that she continuously asks me about and I'm sure the other parents in Heidi's class feel the same. She's only in year 4 and if I remember rightly, my first sleepover with friends didn't happen until I was in year 6. After discussing it with another mam at school, I've decided to let her have a pyjama party from 5:30pm - 8:30pm for her birthday this year and if the girls are sensible enough, then that will give the green light for a proper sleepover next year. I'd love some advice on this though - when did you let your daughter attend her first sleepover party? Heidi's favourite TV show always used to be Spongebob but over the past 6 months, she's switched from watching cartoons and now chooses Tween dramas such as I Am Frankie instead. The plus side of these changing tastes is that Heidi now watches quite a bit of TV with myself, Steve and Harry. We love watching The Chase, Casualty and Saturday Night Takeaway together. I've also introduced Heidi to a couple of my favourite Tween movies and a few months ago we watched Legally Blonde and Titanic together which was lovely. Heidi and Harry both have their own phones now (we gave them our old ones when we upgraded). For a while they were happy with sim-free but now that Heidi likes to text her friends ect..... we top the kids' mobiles up once a month. It's only an extra £25 every month between the two of them - but it's enough to make me notice. I know this is to be expected but Heidi has always been a very well behaved child (unlike her brothers) but recently I've noticed she is trying to push the boundaries a little bit. It's nothing too bad and I doubt outsiders that don't know her would even realise but there has definitely been a subtle change in her behaviour as she starts to gain a little more independence and know her own mind. Remember when your children would circle the Smyths or Argos catalogue or ask for every single toy that was advertised on Nick Jnr? Well that is now a thing of the past and has been replaced with a love of clothes and jewellery. We could spend hours shopping together now and if I ever need to pop into a shop to buy something, I can guarantee you'll find Heidi checking out the bags, jewellery and accessories. I love Heidi's bedroom but it is rather on the childish side with bright pink curtains and Shopkins/My Little Pony bedding. Heidi definitely needs a more grown-up space now and we'll be decorating her bedroom as part of her birthday present this year. Heidi and Harry take great delight in talking about the latest craze that's sweeping through school and laughing that I don't know what they're on about. It's like they have their own secret language at times! The days of walking home hand in hand with both Heidi and Jack seems to be a thing of the past now. Jack still likes to hold my hand (for now) but Heidi prefers to just use me as someone to dump her bags on and will then run off and walk home with her friends. Sob! If you thought the pre-school years were bad, just wait until your children are older! Heidi has swimming lessons, golf lessons and endless plans to visit friends after school. It's a struggle trying to keep up. Heidi always puts together her own outfits and styles her own hair these days - I swear she is better at it than me! I guess we have all those YouTube videos she watches to thank for that. 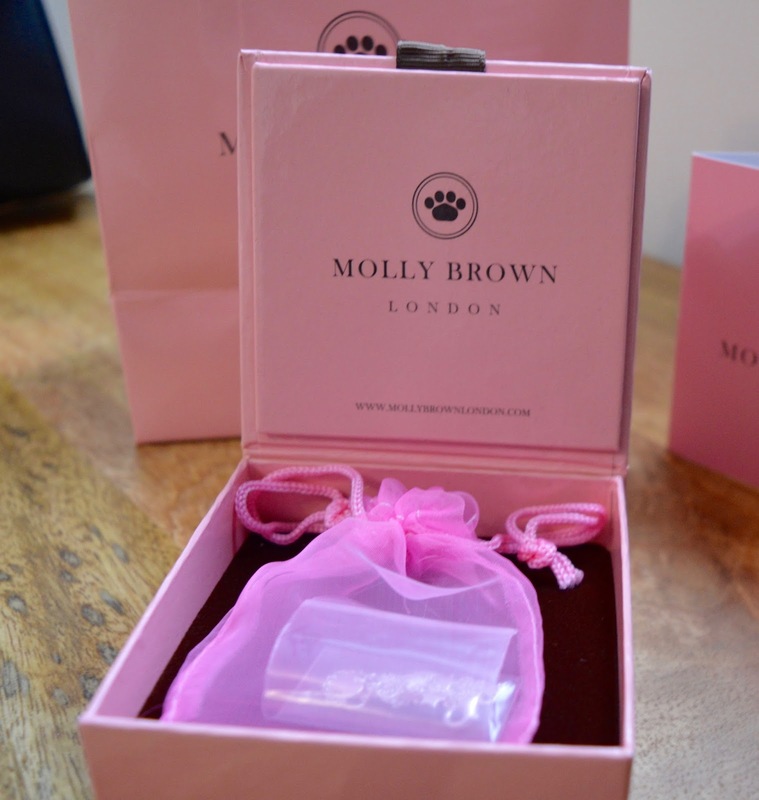 Molly Brown London is a British brand that creates classic keepsake jewellery for children. Their birthday gifts for girls start at just £12.50 and their range is perfectly placed to make a memorable birthday gift for Heidi this year. 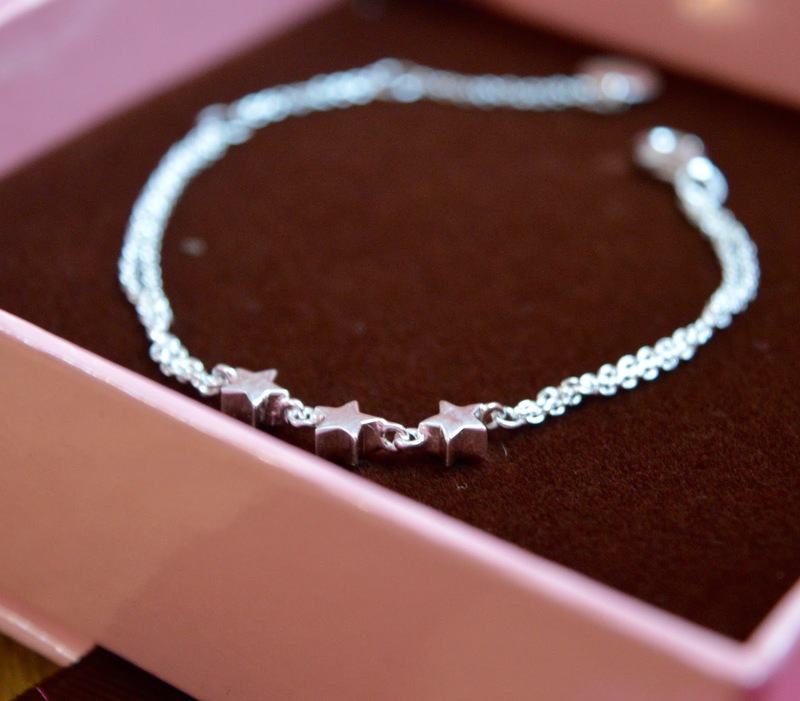 I have selected this Dream Star Bracelet to gift Heidi on her 9th birthday next month and I just know she's going to love it. The piece features an adjustable chain that can be resized as she grows and as it's such a classic design, I know she's going to treasure it throughout her tweens, teens and beyond. 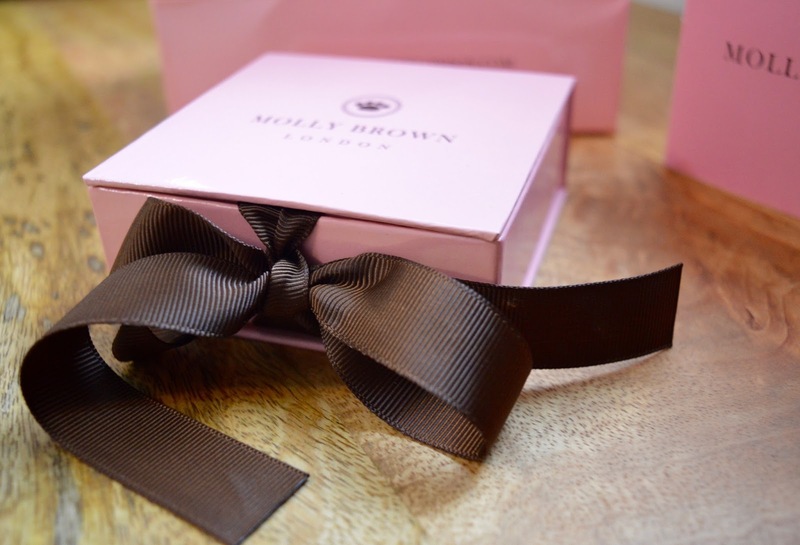 I really want to celebrate this next phase of Heidi's life and a gift from Molly Brown London feels like the perfect way to mark Heidi's birthday this year. 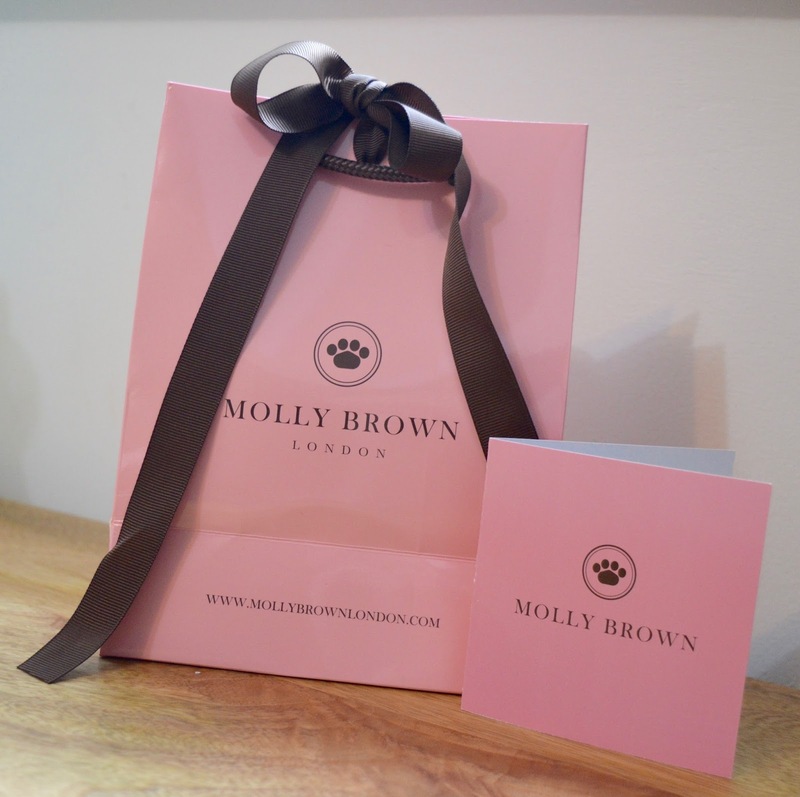 What really sets Molly Brown London apart from other brands, is their absolutely gorgeous packaging which really does set this gift apart and give it the wow factor. I can't wait to see Heidi open this! I know she's going to love it and it will really let her know how special she is to us. Heidi's birthday is at the end of April - I'll share some photos of Heidi wearing her new bracelet across Social Media then. 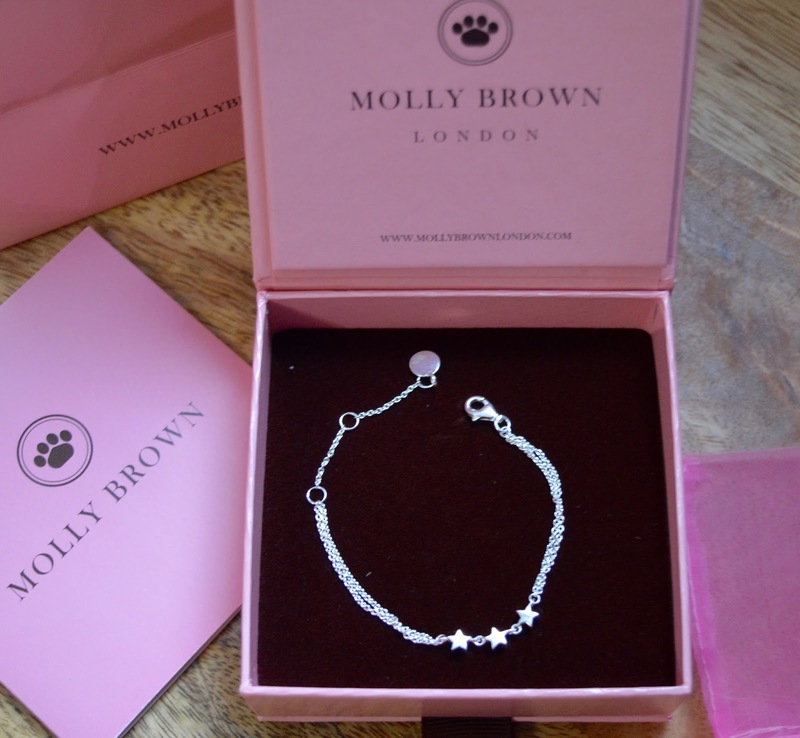 Molly Brown London has kindly provided us with a Dream Star Bracelet to giveaway to one lucky reader. The bracelet will arrive beautifully packaged just like ours and will make a wonderful gift to a special tween in your life. Simply enter using the Rafflecopter widget below. Good luck! I love the personalised my first diamond identity bracelet, it is gorgeous! I love the signature charm bracelet.